I am an experienced accredited psychodynamic counsellor and have trained at the Tavistock and Portman NHS Foundation Trust in London and at a BACP accredited counselling training centre in Kent. The rigorous training includes both clinical and academic components alongside continuous personal analytic psychotherapy. Post graduation I have undertaken further training at the Tavistock in working with trauma and in CBT (Cognitive Behavioural Therapy). 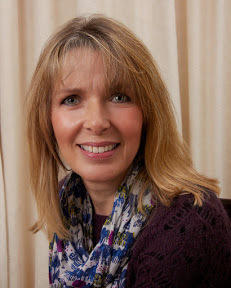 I am an accredited member of the BACP, a professional body for counsellors and psychotherapists and abide by their ethical framework and am committed to continuous professional development to maintain the high standard required by the BACP and remain up to date with the latest research and developments in my field. Alongside my private practice I work as a counsellor and tutor at the Tunbridge Wells Counselling Centre providing counselling for adults. My rooms are situated in the AGA Building on the outskirts of Horsmonden within easy reach of the A21. There is parking outside the clinic and the entrance to my room is discreet and accessible for wheelchair users.